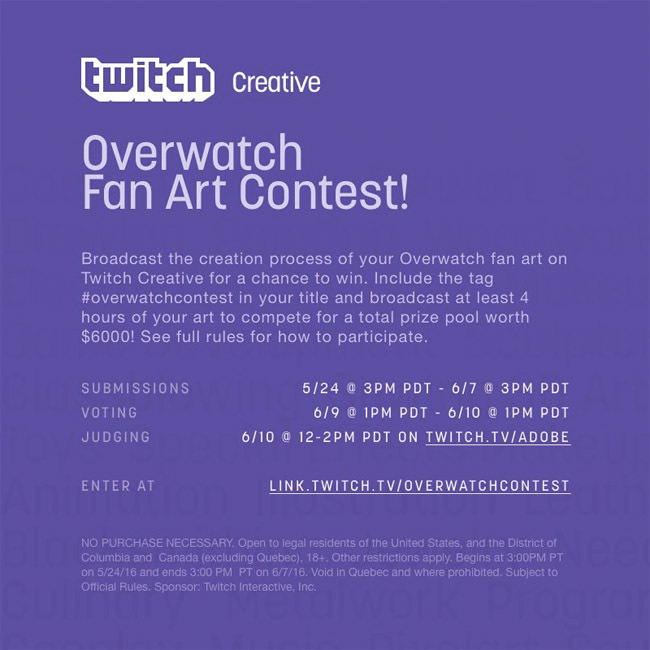 The release of Overwatch has taken over Twitch by storm and in honor of the release Twitch Creative is hosting an Overwatch Fan Art Contest! 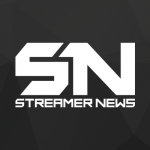 The contest features a huge prize pool worth $6,000. 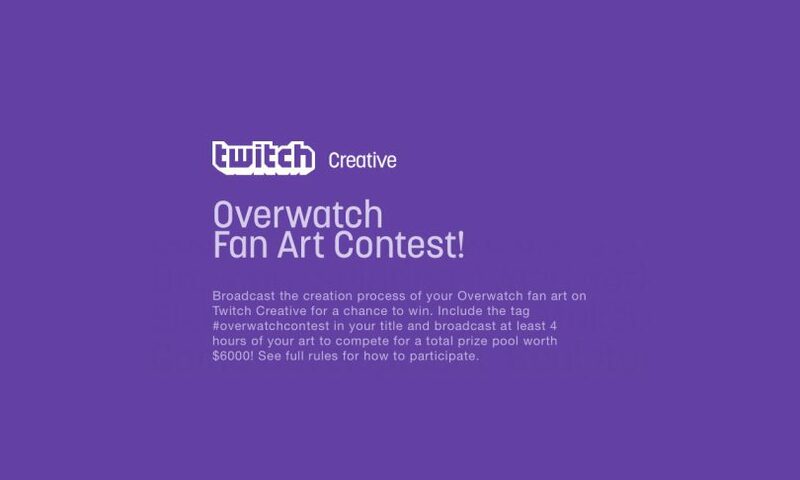 To enter, follow the rules below and make sure to click the link to view the official contest details.